Closing from 175 degree in both door swing directions with hydraulic control from 170. Three thermodynamic valves for consistent performance. Adjustable closing speed (175 degree-15 degree) and latching speed (15 degree- 0 degree) from lop regulating valves. 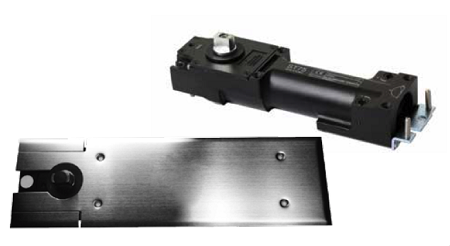 Adjustable hoId-open or delay action angle 80 degree- 175 degree. Cement box in hot zinc plated. Universal cover plate in stainless steel.